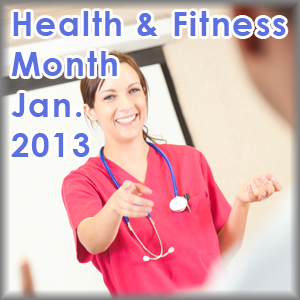 January is Wylie Recreation’s Health & Fitness Month! Benefit, mind and body from more than 80 activities offered at Wylie Recreation Center and Bart Peddicord Community Center during this special month. -Screenings for blood pressure, mammograms, body fat and circumference analysis. -Activities such as Tiny Tot Fitness, Zumba - Gold for seniors and Fitness Decathlon. -Seminars covering heart health, diabetes, nutrition and CPR. Check out the NEW Wylie Recreation Health and Fitness Month webpage for a complete listing of wellness activities coming your way, and download or pick up a brochure at Wylie Recreation Center or Bart Peddicord Community Center.